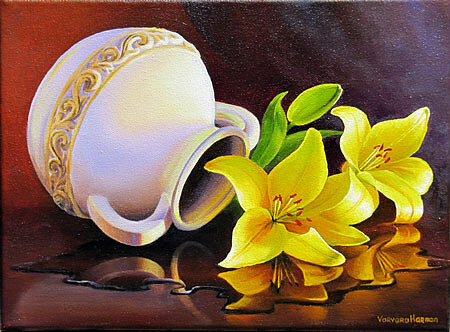 Yellow Lilies Reflection is a painting by Varvara Harmon which was uploaded on July 16th, 2010. Beautifully done, I am so drawn into the reflections in the water. Fantastic work. YOU are so talented. I will return to your site soon.